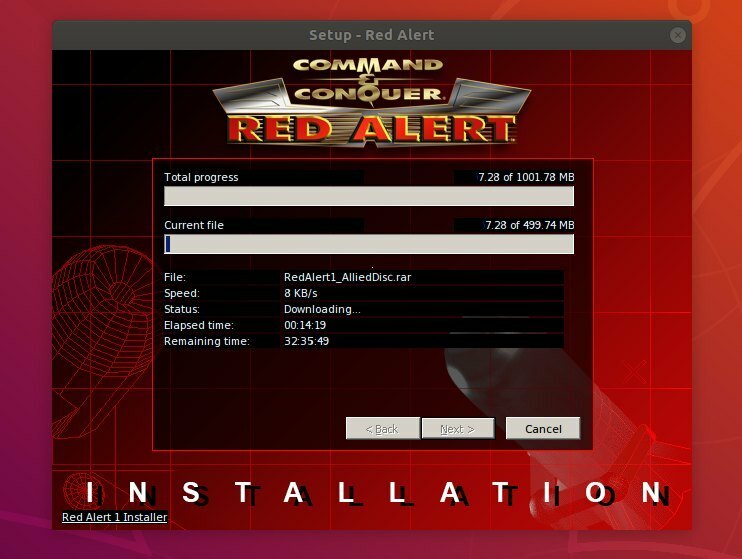 Command & Conquer: Red Alert, the old popular real-time strategy game now can be easily installed in Ubuntu 16.04 and higher via Snap package. Thanks to Taqi Raza, the game now is available via Snap (containerized software package works securely within most Linux desktop). Please forgive my global internet speed. I can’t test the game package due to lack of time. 1. For Ubuntu 18.04 and Ubuntu 18.10, simply open Ubuntu Software, search for and install cncra. Do install wine-platform (snap) first as the package is running via wine. Replace cncra with cncra2yr for Red Alert 2 Yuri’s Revenge. how to open the game? Like normal apps, simply search for ‘Red Alert’ and launch it from application menu.